Do you know what MYOB is? Do you like to Mind Your Own Business? MYOB is one of the most widely used accounting software in the world and is a fantastic technical skill to have when applying for accounting jobs in Australia. 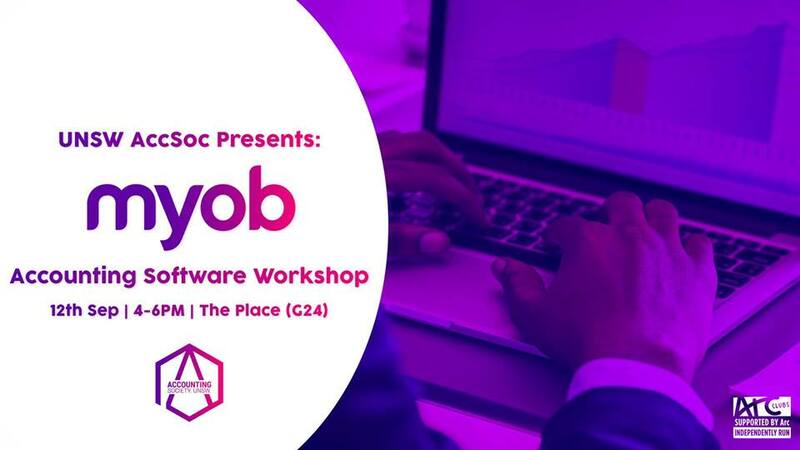 We are proud to be hosting a workshop with MYOB professionals to teach you the basics on how to use the software and what makes it such a valuable accounting tool. Knowing how to use MYOB will not only give you an advantage in knowing how to use the simple yet sophisticated software that may provide more job prospects, it’ll be valuable for all the entrepreneurs out there who will start a business and may want to do their accounting in a simple and efficient way using MYOB. So register and come to our workshop to Mind Your Own Business! Please bring your own device with MYOB AccountRight Plus already installed which can be downloaded from UNSW MyAccess.